Some advice on getting started, and the trials and rewards of pursuing a wildlife filmmaking career. Wildlife filmmaking has a glamorous “dream job” reputation amongst many members of the public. 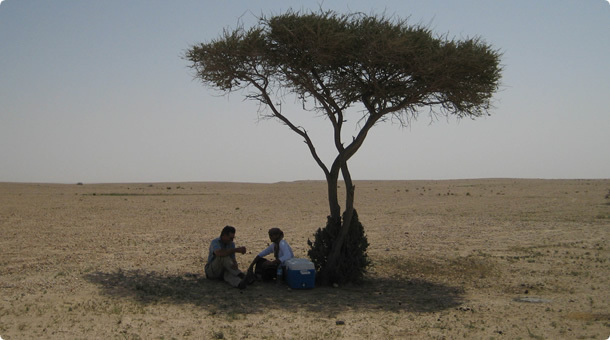 It is seen as exotic travel mixed with spectacular wildlife experiences and epic adventures. Sometimes, coupled with long hours, hard work and tropical illnesses, that's exactly what it is. It’s no surprise that so many people aspire to become wildlife filmmakers. As IAWF members, we get a lot of emails from people wanting to break into the industry and 'fulfil their dream' of making wildlife films. Most of us used to be those people. Whilst it would be ideal to reply to all the emails we get, it's not always possible, especially when we're on location with no email! So here's some advice on getting started. It's important to realise there are down sides to the job too. It's definitely not for everyone. There are several job types in wildlife filmmaking. In addition to camerapeople, there are researchers, assistant producers, producers , production managers, production coordinators, editors and more. For a brief description of what each of these jobs entails, click here. Most members of the IAWF are camerapeople or camera assistants and this article is mainly from that perspective. All wildlife camerapeople are freelance, a fact that should ring alarm bells with anyone starting out. It’s true that as wildlife filmmakers we are privileged to witness some of the most secret and spectacular wildlife events around, even if they are often viewed via the small black and white viewfinder of a video camera. Local, everyday wildlife is often just as enjoyable to film. Most of us are at our happiest out in the wilds and are doing it for the love of the job. It's important to realise that, although it can be extremely rewarding, wildlife camerawork is not a job likely to make you rich in a financial sense. There is not much, if any job security in wildlife camerawork. There is a core of people in the industry who keep busy most of the year. There are significantly more who struggle for work and to make ends meet. It is very competitive and you will find yourself competing for jobs with people who have been around a lot longer, have more contacts and are more experienced. Producers understandably hire people they have worked with successfully in the past first, leaving relative newcomers to pick up the scraps. Particularly in the early years, wildlife camerawork has been likened to a drug addiction. Its the best feeling in the world when you're doing it and it can be pretty lonely, frustrating and demoralising when you can't get work. Many can relate to a feeling of wanting to get out of the industry and wondering how else to earn a living during an extended quiet period only for a few days work to come along and inject that high again, making you realise that it is what you want to do if only you could get enough of it. It can take many years to get established as a freelancer and even some of the most respected names in the business sometimes report that they haven't had any work for a couple of months or more. If you get to the stage where you do go away on frequent filming trips, it can be disruptive to social life and destructive to relationships. It's a way of living that can be easy to accommodate in your 20's but, in your 30's and beyond, with extra responsibilities it can get a bit stressful. Filming contracts worth thousands of pounds can get cancelled overnight. Last minute bookings come along and tear you away from family. It can be hard to plan social events ahead of time and friends and family will come to realise that your plans to join them are rarely 100% definite as some last minute work might come your way. There's no fixed annual salary so you have good years when everything comes together and bad years when you suddenly find yourself back on the same salary you were on before you mistakenly felt you'd become well established. Day to day as a cameraperson, you'll likely be the first member of the team (even if you're not working on your own!) out of bed in the morning and the last person into bed at night. 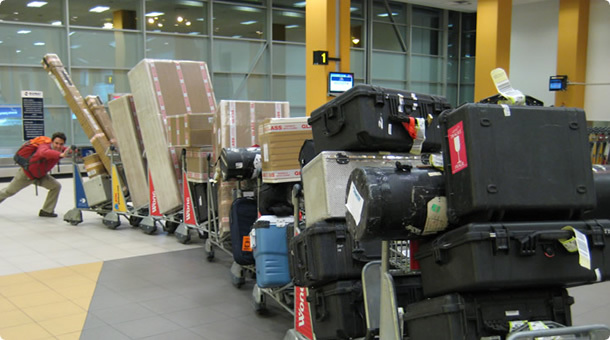 You have to be able to maintain camera kit in all manner of conditions, be able to navigate trolleys full of cases through airports and organise and manage local help as necessary. You need to be adaptable and multi-skilled as every location is different and will have its own challenges. It's not all bad of course! There definitely are times when you can't help but think “I can't believe I'm getting paid to do this”. But, don't underestimate the downsides. If you are truly passionate about nature and making images, the hard graft, long hours and unpredictable timetable and finances, can be outweighed by the privileged experiences on offer. If you are stoical and still think it’s for you, keep reading and good luck! Getting on the wildlife cameraperson ladder. There is no official way of becoming a wildlife cameraperson. The onus is very much on the individual to meet the right people and learn the skills. Meeting the right people sometimes involves being persistent enough without being annoying. You do need to be more than just another CV on the already huge pile. Try to get face-to-face time with television producers, directors etc so they can put a personality to your name. Make sure you ask questions about what they do as well as telling them what you want to do. If you just start a dialogue with “do you have any jobs” nine times out of ten the answer will be no – end of dialog. (Note the use of the word cameraperson, not cameraman – women can do the job (and do!) despite the claims of some that they're not as strong and so aren't suited to lugging the kit around. There is heavy kit to carry and it is true for whatever reason that most camerapeople are men. But if you're a woman and you want to do camerawork, don't be put off as some of the best wildlife camerapeople today are women). Working successfully in the industry today, there are very highly qualified academics and there are people who left school early. The truly determined will make it in to the industry to some extent. You don't necessarily need good qualifications although it can definitely help. A degree in zoology or biology can help get you a job as a researcher at a production company which can lead to other opportunities; certainly you'll be competing against people who do have such degrees. Media courses can help but are often quite general and sometimes not that relevant to real-world wildlife filmmaking. There are a few courses that deal specifically with biological imaging and these have been an effective starting point for some. However, they certainly don't guarantee employment. To be a good wildlife cameraperson you need to know how to get the best out of camera equipment and you need to know how to shoot a sequence that tells a story. You also need to be a good naturalist and know how to get close to the wildlife you need to film. Many, or probably most, of the best wildlife shooters have been interested in the natural world as long as they can remember and thus have built up knowledge of animal habits and habitats and ways to find and get close to animals. These techniques, together with advice from local experts, can be extrapolated to new or less familiar species as and when they are encountered. Any experience that you have observing animals closely for prolonged periods, eg. for a conservation project or for academic study, should be made known to potential employers. Proving your skills & interest to employers. A good CV is important and you need to do more than just say you are really interested in wildlife and photography and filmmaking. You need to be able to demonstrate your interest. Volunteering for conservation organisations demonstrates an interest in the natural world and builds up practical knowledge of the outdoors. Experience of foreign countries and particularly remote places can count in your favour as can building up outdoor skills such as scuba diving, rock climbing and off-road driving. Whilst it may be time-consuming, one of the best ways of proving your talent, knowledge and enthusiasm to a potential employer is to make a film yourself. TV professionals get hundreds of CV's. If you have a film you can show as well, it can really help you stand out from the crowd. You'll also learn a lot from making it. Advancing technology means video cameras and computer editing software are cheaper and more accessible than ever. Pick a subject that is not too ambitious (it could be in your garden or local nature reserve) and make a film. Don't make it too long, keep it less than 5 minutes if possible. Wildlife programs are not just random montages of shots. Good wildlife films tell a story. A showreel to demonstrate your skills can be a montage but, if you really want to impress, try to film a simple sequence that tells a story. If you are a keen stills photographer, put together a portfolio. Only pick your very best images though. Five top notch pictures are better than thirty of mixed quality and potential employers don't have time to sift through reams of photographs or footage. Although it can help, it may not be the best idea to make a load of DVD's of your film and ship them off to potential employers. If you have a showreel, the best way to market it these days is probably via a website. Making a website is becoming easier and easier to do yourself. Although it’s not likely people will come across your website by chance and employ you, it can be a quick way of getting producers and potential employers to get to know of you and view some of your work. A website that summarises your skills, your best pictures and perhaps has a showreel can be very effective. A producer might feel he/she hasn't got time to meet you right away but humans are curious and highlighting a link to your website in an email is likely to get a click out of curiosity if nothing else. Clicking on a web link is so easy to do. The BBC Natural History Unit is the most famous producer of wildlife films. There are also many excellent independent companies. Many camera people began their career at a production company, perhaps as a runner (general dogsbody helping with whatever needs doing including making tea), or researcher. Whilst you don't need qualifications to do camerawork, it can help to have a degree in biology or zoology to get you a foot in the door as a researcher. It is common for people to do 2 weeks unpaid work experience before being taken on. Working “unpaid ” doesn’t have to mean working for “free”. If they can’t afford to pay you, don’t be afraid of being up front about what you would like to get out of the experience. Having someone talk you through how to operate a particular camera, or being allowed to sit in on an edit could prove more valuable in the long run than a little extra cash in the pocket. Working for a production company is a great way of learning the industry, how programmes are made and meeting people. You're unlikely to be doing any camerawork for a while but if you make it known at the right time that it's something you're interested in, you should be able to start helping out on some shoots and you might get your hands on some kit occasionally. For your first approach to a production company, try to find specific names of people to email a CV to rather than just writing a dear Sir/Madam letter to no one in particular. Expect to get a LOT of rejections or no reply at all. People in a position to give you a job are likely to be very busy without all the emails (lots and lots of them) that they inevitably get from people wanting to get started in the industry. If you haven't heard anything for a couple of weeks, try to make a follow-up phone call. One of the best things you can do to learn how to be a good cameraperson is to sit in on editing sessions. Following the right approach, editors will sometimes let people sit in on editing sessions. There is no better way to see the kinds of footage the top camera people are delivering and more importantly what gets used and what doesn’t. The best camera people are those able to give the editor exactly what he needs to tell the story. A good editor can quickly and visually explain what works and what doesn’t. He can also show what can be fixed and what cannot; because not every shoot goes perfectly or gets all the right material. Learning the fundamentals so that on location when things go wrong you can still deliver useable material is a huge bonus. When starting out, a couple of days in the edit suite can be worth weeks on location where you may not get near the camera or see any of the footage. You can write to camerapeople offering to help them out on shoots. In reality, opportunities are likely to be few and far between. Camerapeople generally don’t have any involvement or ability to hire people for shoots. Any newcomer assisting jobs that do come up are likely to be in your country of residence because, for the production company, filming abroad means flight costs, accommodation costs and other logistical considerations for every person involved. So, even if you are offering your time for free, there are other costs to consider. Programme budgets are very tight these days and if an assistant is assigned to a cameraperson, that assistant will often be someone already on the pay roll at the production company. On overseas shoots hired camera assistants will more likely be the choice of the cameraperson and have proven their skills and abilities. Often they will be people they have worked with extensively. The BBC sometimes run a bursary scheme whereby they train up a successful applicant with on-the-job experience but there is only one or, at most, two places a year up for grabs and some years the scheme doesn't run at all. Organisations such as BECTU, Skillset and Local Arts & Film councils can help with training courses. Wildlife film festivals like Wildscreen have workshops and classes and can be a great place to meet people and gain insider information. Once you are actually getting some work and are involved in the industry, you can join the IAWF. By joining the IAWF you will at least get your name seen by some relevant people and you can post up your experience and stills photographs. You'll need to pay an annual membership fee, for associate members this is £40 per year. Even if you are not a member of IAWF you can still get advice and support from them when starting out and negotiating with companies about pay and conditions etc. There was a time when most established wildlife camerapeople owned their camera equipment. However, since programmes shot on high definition video became the norm, camera ownership has become less common and equipment now tends to be hired in for each job. There are several camera formats around and different cameras are suited to different jobs. It’s still not uncommon for a cameraperson to own specialist lenses and other equipment that they use regularly but it's not essential and it's certainly not necessary to have your own professional-level equipment to get started. In terms of learning about the camera equipment, the operating manuals for off-the-shelf products from the likes of Panasonic and Sony can sometimes be downloaded online. However, this is no substitute for hands-on experience, something that can be very difficult to gain when you are starting out. As well as good camerawork, it is unique, specialist skills that will more often than not get you on a shoot. Being able to offer sound recording, time-lapse and probably in the not too distant future IT skills will likely help more than actually owning particular bits of kit. What were your qualifications when you started? Biology degree from Oxford University, 7 months working for the WWF in Zimbabwe working on Black Rhino dehorning / studying feeding behaviour / conservation consultant, extensive stills experience. How did you start/what was your first job in wildlife filmmaking? I worked for OSF in my vacations; in their stills library, eventually getting promoted to floor sweeper / tea maker, finally to camera assistant and eventually in house wildlife cameraman, my first filming trip was to Panama – 3 months unpaid. Top tip for someone starting out (if you have one). The best wildlife camerapeople are usually really great stills photographers – the first thing I ask people who contact me is to see their stills portfolio; often they don’t have one. Many of the skills you need as a wildlife cameraman can be learned and perfected by taking stills. If you are not in love with the idea of making still images of the natural world then maybe being a wildlife cameraman isn’t for you. I got a Biology degree then worked for 4 years with English Nature on temporary contracts doing ecological surveys in Hampshire and Oxfordshire. I started off in the media by writing articles for a monthly countryside magazine and then getting a few short term research contracts - first the BBC, Bristol and later Partridge Films in London. A lot of trawling books and libraries and phoning scientists and organisations. Then writing treatments which is the visualisation of the film's narrative as well as the outline planning - where, why, how, when and with whom. Working with editors and seeing how they worked with images made me want to use the camera to tell a story. It has never been easier or cheaper to film and then edit your own material to make short films - you will learn a lot and you will be able show prospective employers the strength of your ideas, commitment and talents. A zoology degree from Bristol University. I was also a keen stills photographer. After university I took a job working in a camera shop to earn some money whilst writing to wildlife camerapeople and production companies to try to get work experience. The money earned allowed me to buy new stills kit and a video camera and I started making a film about fallow deer. Before I finished it I was offered 2 weeks work experience at Partridge Films (which is now no longer) and on the back of that got a contract as a researcher. Sadly I never finished the deer film but now I had a job in the industry! I learned a huge amount in this job viewing and selecting shots from hundreds of hours of footage filmed by some of the leading camerapeople, sitting in on edits, building studio sets and assisting on shoots. In the meantime, I started making my own film in my bedroom about woodlouse spiders. After a couple of camera assisting jobs I was asked if I could use a professional betacam videocamera. I said yes, read the instruction manual the night before, and did my first paid camera job. One of the first things I did once I'd decided to try to get into wildlife filmmaking was to analyse wildlife programmes I had recorded off the TV. I timed the length of each shot and wrote the timings down and worked out the average shot lengths in a film and how many individual shots went into making a film. I looked at the types of shots that were next to each other, listened to how the narrations were constructed and looked for patterns in the overall structure of the films to figure out how they were put together. Its a useful exercise and requires nothing but time to do. I always had a keen interest in wildlife and photography since I was a little kid so was always doing workshops and field trips to do with both. I then did a degree in zoology and whilst doing that I taught myself film and TV stuff by visiting TV companies, film festivals, workshops and equipment expos. I also took part in a University Expedition and used it as an opportunity to do some filming in the jungle. Of course this was back in the day of big 16mm movie cameras. No DV cameras for us! So nowadays with the availability of high quality video cameras it is easy to learn the basic film skills. So I started out in the industry with a good combination of wildlife and film knowledge which I could then build on as I learnt the real and unique skills and approach needed for wildlife film making in the real world of broadcast television. My first film job was as a Researcher in the BBC Natural History Unit. I worked on a film about Poo! An auspicious start I guess...... This was a great opportunity because it gave me a chance to meet lots of people and to learn how the whole machine of program making worked. I did that for about 6 months then was lucky enough to get a job as Assistant Cameraman in a production company that did Science and Education films. I arrived there and immediately ended up shooting stuff myself as well. I worked there for about a year. After that I went back into the BBC natural History Unit as a Film Researcher. Again another great experience going through the archives of all the film they have looking for clips needed for various projects. This was also when I started to do odd days shooting and led on to moving into full time camera assisting and shooting. The most impotrtant lesson from this is that even if you want to be a camera person, sound person, editor or whatever, there is tremendous value in experiencing all aspects of the production process to help understand how films are really made and how your part of it and the material you produce will be handled and integrated down the line. This enables you to deliver the best and most useful material for people to work with. My best advice for someone wanting to be a camera person is to spend as much time as possible with Editors. It is the best way to see what kind of images you need to deliver and how they are used. There is a lot more needed than just the amazing shots. There is also all the elements that help with the edit and story telling process or film grammar. It is also a great way to see the raw footage of seasoned professionals and get an understanding of what they are seeing and doing in the field without needing to go in the field with them which is normally impossible. For sound people I would advise to spend some time with dubbing editors. Again to learn exactly what is needed to make their lives easy. As these days many camera people run sound too or are working with a producer who is doing sound it is also good to experience what dubbing editors need as it can really help things if you just get that bit of buzz track or atmos etc that is so easy to overlook.